Our Flower Stand is Now Open! Home / Farm Life / Our Flower Stand is Now Open! It’s a spring-time tradition! 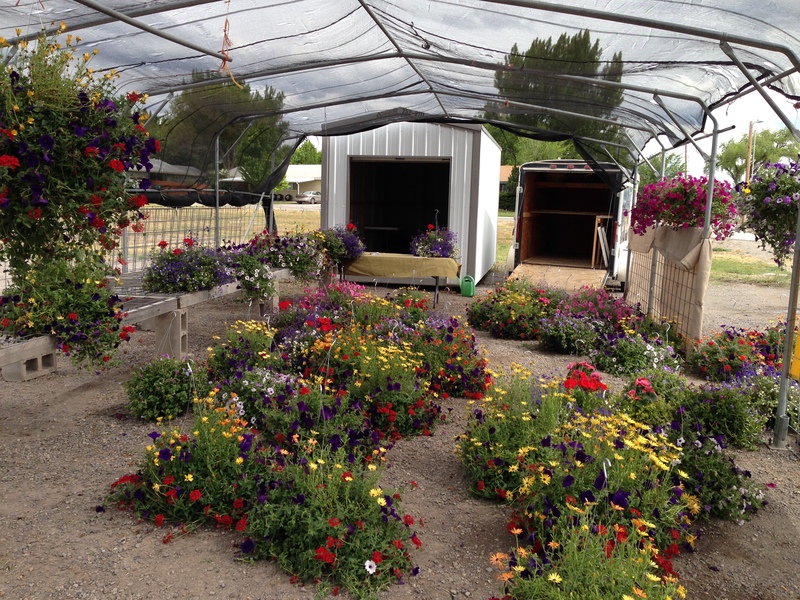 The Borden Farms Flower Stand is now open from May 1st through June 6th in Mo ntrose. We will be bringing a fresh truckload of beautiful custom hanging baskets to our stand located at 2488 Woodgate Road in Montrose daily. We are open Tuesday through Saturday from 10:00 am to 5:00 pm, and Sundays from 10:00 am to 3:00 pm weather permitting. 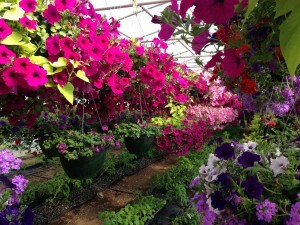 Visit us for a great selection of colorful hanging baskets! You can give us a call to place special orders, and also visit our greenhouses at the farm to purchase flowers (calling ahead is recommended at 970-874-5383). Where the Heck is Pea Green? 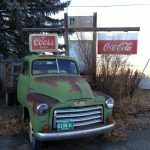 Stay up to date on the latest from Borden Farms including news, specials and crop updates. We'd love to hear from you. Please send a message and we'll respond when we can. I consent to Borden Farms collecting my details through this form.